What are the Best Window Styles for a Cape Cod Home? Cape Cods are a quintessentially American home. These homes originated in England during the 1600s and made their way to Colonial New England after the first settlers arrived. Its design is somewhat inspired by small cottages on the countryside of England, and its appearance has stood the test of time over the centuries. The Cape Cod style home still remains as one of America’s most popular homes, and you’ll find them everywhere between Charlotte and California. Cape Cods typically consist of two floors, with the top floor featuring a very large room that nearly spans the entire home. 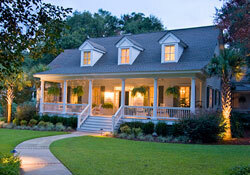 There are three variations of this home style, including the three-quarter cape, one-half cape, and full cape. These are small, quaint, and roomy homes that have a lot to offer homeowners in terms of aesthetics and quality. Since the Cape Cod home is unornamented, you won’t typically find an eclectic mix of windows like you will in Victorian homes. The windows of Cape Cod homes often stretch to the ceiling, although the ceiling height in these homes are typically low. Double hung windows are the dominate window style in Cape Cod homes. This comes as no surprise, as the Cape Cod style home is slightly older than the double hung window style itself. Double hung windows are tall, rectangular windows that consist of two operable parts. This makes them ideal for a variety of architectures, as they are easy to clean and efficient at increasing ventilation and air flow throughout the home. Aside from double hung windows, casement windows are another popular option. These windows are quite similar to the double hung in terms of shape and style, but the difference is that they open with a crank out handle rather than by lifting the sash. While Cape Cods can be nearly any color, there are several colors that remain a classic staple for this style of architecture. 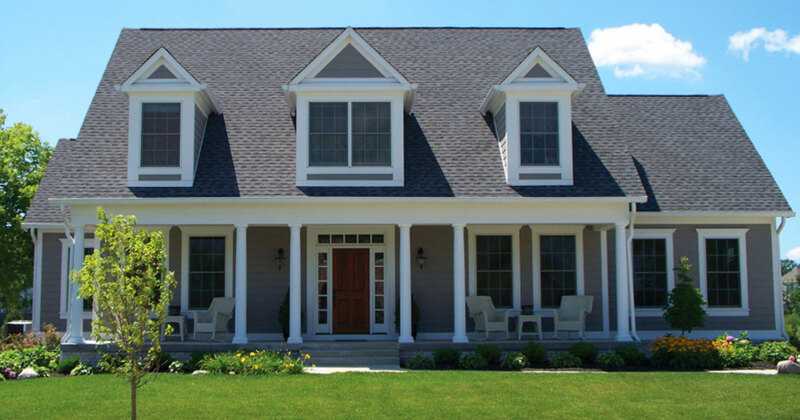 Many windows of Cape Cod homes are white vinyl, although you may also see colors such as green and dark red. These colors are associated with early New England homes and often used for window sashes. Window grills are also popular with Cape Cod style homes, which perfectly complement this classic architecture. If you have a Cape Cod home and need to upgrade your home windows, contact Universal Windows Direct for more information.